The Centre for Advanced Robotics research is part of the School of Computing, science and engineering of the University Salford. The centre houses a multidisciplinary group lead by Dr Samia Nefti with interests in artificial cognitive systems and robotics and their constituent technologies. 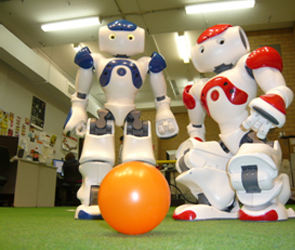 The Centre’s activities have their origin in 1987 when Salford University was chosen as the site of the United Kingdom’s National Advanced Robotics Research Centre. Since then Robotics has formed a major strategic direction within Engineering in the University and Salford where Researchers have been at the forefront of strategic national developments initiated by the Department of Trade and Industry (DTI), the Department for Environment, Food and Rural Affairs (DEFRA) and the Engineering and Physical Sciences Research Council (EPSRC) and international developments within the E.U. The Centre currently hosts two government sponsored EPSRC networks in Food Automation and Robotics. The Centre for Advanced Robotics research is part of the School of Computing, science and engineering of the University Salford. The centre houses a multidisciplinary group lead by Dr Samia Nefti with interests in artificial cognitive systems and robotics and their constituent technologies. The group has strong national and international links with both industry and other research institutes. The core group of researchers in the laboratory includes over a dozen graduate students, two research faculty members, and three adjunct faculty members. This centre holds the academic (National and the international) Master programs which are primarily associated with the Electrical Engineering Department ties with the Computer Science department. The term "cognitive robotics" is used to refer to robots with higher level cognitive functions that involve knowledge representation and reasoning. Several projects are currently undertaken in this area in collaboration with psychologists and neuroscientist from European institutions such as IIT in Italy, Genoa and Ferrara. Our research consist of endowing robots with some cognitive capabilities such as perception processing, attention allocation, anticipation, planning, reasoning about other agents, and perhaps reasoning about their own mental states. Examples of projects undertaken in the lab in this area are: the project on swarm intelligence called Irrational Swarm which consists at endowing each particle of the swarm with some irrational behavior in order to mimic the human decision. The developed technique uses some psychological principals to model how the perceptions of human beings influence their choices from the given options. Another project proposes a novel hybrid cognitive algorithm that combines probabilistic fuzzy controllers with reinforcement learning on a social collaborative learning scheme. The long term goal of this undergoing project is to use this hybrid algorithm and self-organizing particle systems, enabling several robotic agents to learn an optimum behaviour combining their acquired knowledge about the environment to accomplish a given task, while dealing with the dimensionality problem of a real world environment, and its inherent uncertainties. Another project deals with the research on language learning in cognitive robotics and language grounding using the humanoid robot iCub platform. Our main focus is the investigation of the relationship between language and action. Our centre has also actively participated in the development of the state-of-the-art European humanoid robot RobotCUB (www.RobotCUB.org). The “iCub” is a child like crawling robot that resembles a two and a half years child. The ultimate goal of this project is provide to the cognition research community with an open human like platform for understanding of cognitive systems through the study of cognitive development. This work is supported by the European Commission FP6, Project IST-004370. Our deliverables for this European project was the development of the mechanics, electronics and control of the spine and legs of the robot. The complete development leaded to numerous publications, in the mechanics as well as in control systems topics. 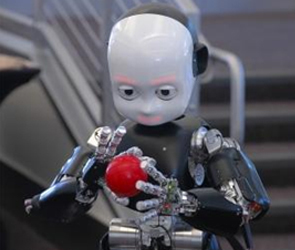 Also, our centre is equipped with NAO humanoid robots (Aldebaran Robotics) for research and development of a wide range of algorithms, ranging from modelling cognitive functions cognitive robotics to walking algorithms and visual signal processing. The non-homogeneity, adhesiveness and visco-elasticity of objects have to be considered when designing a robotic gripper for handling food, compared to a robotic gripper for industrial application. As a result, the study of a suitable grippers for individual handling of variable food products is becoming an important design objective as the industry seem to increase its automation requirements. 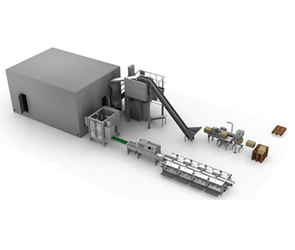 The main objective of this division is to provide the food industry with, fully functional, low cost and customized robotic and automation solutions, ranging from the development of flexible, multi-function grippers that can handle hygienically unpacked food products; specialized grippers able to deal with special shaped foods as in our lasagne gripper; to the design of prototype machines for pet food production lines. Salford University have been leading the research in haptics interfaces in UK for the last decade. 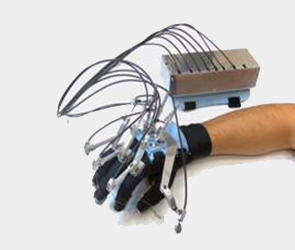 Works concentrating in the design and realisation of haptic interfaces and in particular in the design of hand and arm exoskeleton for kinaesthetic feedback and finger tactile displays for object surface exploration (tactile feedback) are some examples of our many research projects. Some of these projects have also been used for rehabilitation and training of medical personnel. 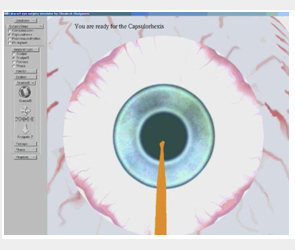 Another project deals with the development of interactive, affordable, easy to learn, risk-free, and reusable Medical training devices like our Cataract Eye Surgery Simulator (CESS). This can be used as a teaching and training method to train medical students adequately so that they can learn and master the skills required to perform surgery on live patients. This field deals with the design, and development “human friendly” lower and upper body exoskeletons for walking gait assistance, arm rehabilitation for stroke patients and generic human force augmentation. Many of these wearable devices make use of braided pneumatic Muscle Actuators (pMAs): a new, low mass, high power to weight and volume actuation system. Salford Robotics Lab has been leading the research of novel control systems and development of enhanced versions of these actuators for the last decade. The advantage of the pMAs lays in which they produce a muscle-like contact, taking advantage of its inherent nature which weakens linearly as it contracts and as such can be considered a soft and bio mimetic actuation system. This capacity to “replicate” the function of natural muscle and inherent safety is extremely important when working in close proximity to humans, particularly those suffering a disability. 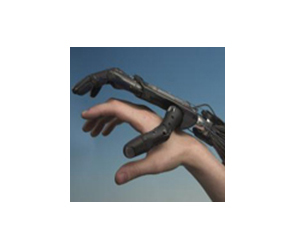 This field of Salford Robotics Lab deals with problems like the ethics associated for health and social care robots and management policies for implementing these devices into future societies. We are specifically looking into barriers between technologists, regulators, economical agents and final users. The multidisciplinary study of the different agents’ weights involved in the process of design, production and commercialization of robots represents an important asset to strengthen the economical cycle. Soon robots and humans will coexist together and many ethical approaches are necessary to make this reality the most profitable and comfortable as possible. In this field we deal with the design of mechanical and intelligent control algorithms for mobile robots. 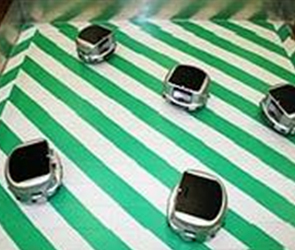 Ranging from the design of all terrain robots to the design and implementation of AI algorithms for path planning and obstacle avoidance and emergent behaviours using the state of the art, Khepera robots (K-Team) for testing our algorithms as well as the widely used simulation software Webots (Cyberbotics) for simulating and testing our designed robot models.